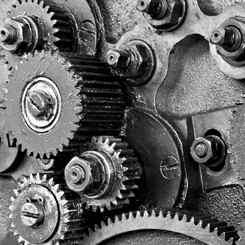 The client was in need of an ongoing asset management solution to help manage and sell over 25,000 pieces of surplus MRO equipment and spare parts at a facility in Rahway, New Jersey. 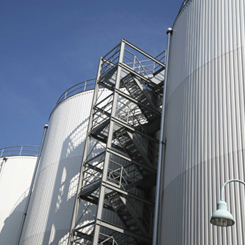 This facility consists of multiple buildings; Inventory to be sold includes actuators, agitators, filters, flanges, gauges, motors, pipes, pumps, sensors, transmitters, and more. 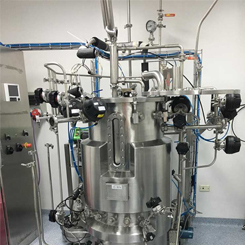 The client had planned to build a biotechnology laboratory for the production of recombinant mammalian cell proteins in large scale, however the company never moved forward with the project. This left the client with a surplus of new, uninstalled assets that were no longer needed. The client needed assistance with a multi-phase facility closure consisting of two buildings at the same site. With over 800 assets to manage and sell, and a one-year timeframe that ended up being cut short, EquipNet needed to act efficiently in order to gain maximum return for the client. The client reached out to EquipNet to request asset management services for a full site closure in Belo Horizonte, Brazil. 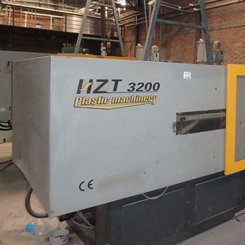 The company wished to maximize the value recovered from its equipment within a timeframe of only seven months. The company was in need of a comprehensive asset management solution to sell equipment that was surplus to the ongoing operations. 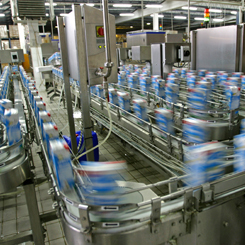 Equipment was located in four different facilities in Mexico and featured various food processing and packaging assets, primarily used for dairy and other related products. The client was planning a site closure for its facility in Cali, Colombia. 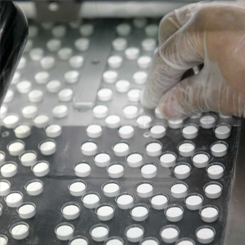 This particular location was manufacturing pharmaceutical solid dose products. 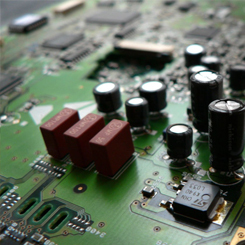 With a deadline approaching in 8 months, EquipNet had to ensure the right plan was in place to sell off the equipment and provide the client with the appropriate financial return. 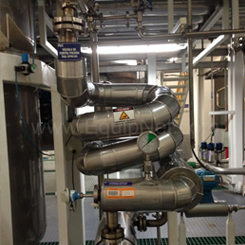 The client informed EquipNet about a full plant closure at its facility in Fortaleza, Brazil. Since this site was handling vaccinations, the entire facility had to be cleared and demolished, which included five buildings in total. 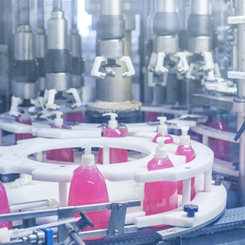 The client asked EquipNet to handle the complete closure of a skin care product manufacturing facility in Cayey, Puerto Rico within nine months. The facility, which had approximately 2,500 assets, was still an active manufacturing site at the time. 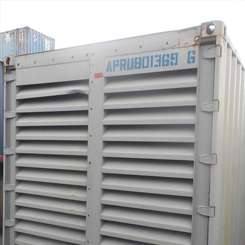 The client was originally working with a third party auctioneer to sell its surplus equipment from a site closure in Escuintla, Guatemala. When the event did not yield the desired results the company was looking for, the client reached out to EquipNet. The client’s facility in Vallejo, Mexico City decided to conduct an efficiency project, which resulted in the decommissioning of multiple lines of manufacturing and packaging equipment, as well as some utilities equipment and other assets. 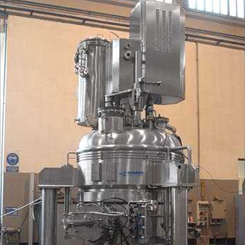 The client originally purchased an Oystar IWKA Inline Tube Filler from a project we were working on with another client. Once the client shipped the equipment to the site, the company’s plans to produce the new product fell through. This project was initiated when the client realized an opportunity to generate return on some assets that were surplus to its ongoing operations. The company did not have a strict deadline as to when they needed the equipment sold by, but an estimated 12 months was communicated as an appropriate timeline to sell these assets. EquipNet is constantly working on asset disposition projects with multiple clients across the globe to help companies buy, sell, and manage their surplus. This case study outlines how EquipNet was able to help our long-term client buying and selling. 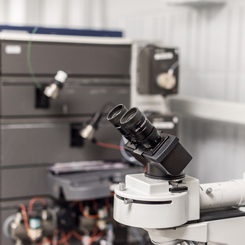 The company had decided to close down its business and was in need of a comprehensive and affordable solution to sell and fully manage its laboratory and analytical equipment. 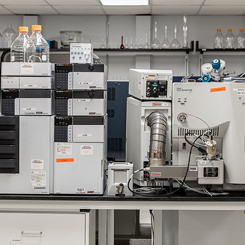 Equipment included some high-value items such as an AB Sciex 3200 Mass Spec and more. 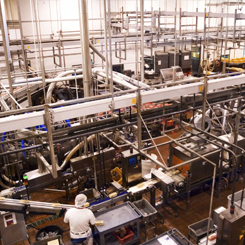 The client was re-vamping its facility in New York and was switching from manufacturing equipment to co-packers to increase efficiency and improve workflow. The client was seeking an all-inclusive and proactive solution to sell many assets. 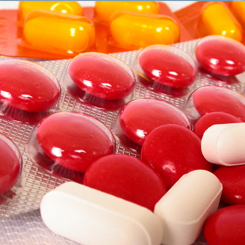 An overview of four different projects with EquipNet, including a leading device engineering facility, global healthcare provider, global pharmaceutical conglomerate, and an industrial manufacturing company. 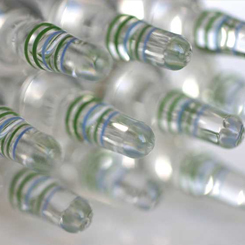 We helped this client manage over 250 assets at its medical device manufacturing facility, resulting in $1.7 million redeployment savings and over $250,000 in sales. 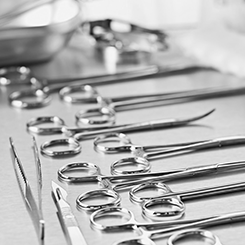 Using EquipNet’s Cascading Sales Model, this client was able to successfully close its medical device facility and gain financial return from its surplus equipment. This client reached out for assistance with a two-phase asset disposition project at a facility in Cleveland, Mississippi. 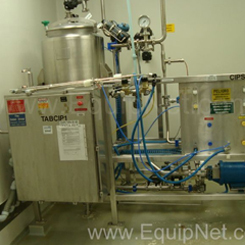 Equipment at the facility would be primarily classified as sterile fill/finish equipment. 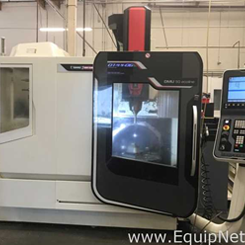 Becton Dickinson’s facility was closing in Seattle, which consisted of two separate buildings with over 100 assets including Mori Seiki, Haas, and Fadal CNC Machining Centers, Tool Room and Support equipment. We helped this client manage its closure within its requested timeline, resulting in $1,000,000 in return and 100% of assets sold through a dedicated online auction event and individual asset sales through the EquipNet MarketPlace. Early in the year, the client reached out to EquipNet requesting assistance with a facility closure in Staffanstorp, Sweden involving over 100 assets. This facility had been manufacturing a raw ingredient used for insulin. 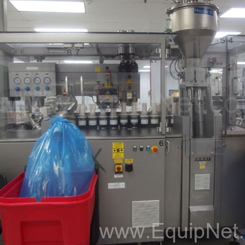 This client reached out to EquipNet for assistance selling an unused Optima Syringe Filling Line. The equipment was purchased new, but was no longer needed and had been sitting idle in the OEM’s facility. The client was closing a 50,000 sq. ft. San Francisco lab facility that housed 500 surplus lab and analytical assets. The multi-building site needed to be cleared out within a 45-day timeframe. In 2011, our client decided to move its Menlo Park, CA production operations to other facilities in the company’s organizational network. 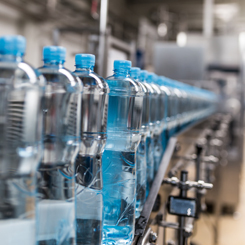 This decision officially slated the Menlo Park site for complete closure, leaving seven bottling lines, mixing and blending tanks, and an outside bulk tank farm to be removed from the facility. The client’s Lincoln facility was utilizing a third party warehouse storing approximately 80 assets, ranging from small lab kit to solid dose and sterile processing equipment. Per request of the warehouse location’s landlord, the client needed the facility cleared by the end of August 2016. The client reached out to EquipNet for assistance closing the entire telecommunications division of its company, which included over 20 facilities spanning across the globe. Facilities included locations in over five different countries. 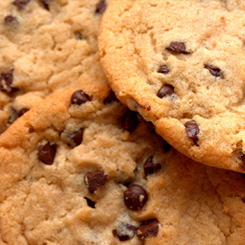 This client reached out to us for assistance closing a large paper coating facility within a three month timeframe. 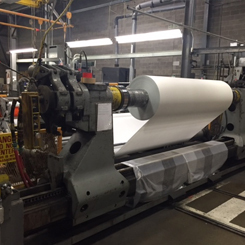 The inventory consisted of approximately 1,000 assets, including four very large paper coating lines, as well as paper converting equipment. 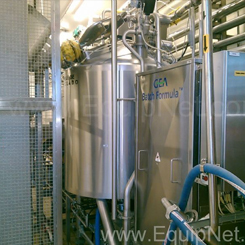 The client asked EquipNet to handle the complete closure of a skin care product manufacturing facility in Cayey, Puerto Rico. The facility closure needed to be completed in nine months. 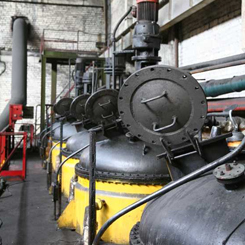 The facility, which had approximately 2,500 assets, was still an active manufacturing site at the time. 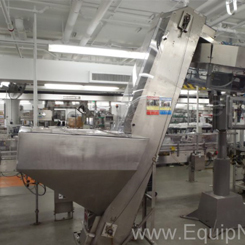 EquipNet was asked to facilitate the complete facility clearance of Novartis’ Suffern, New York manufacturing facility. 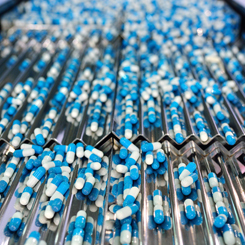 The goal was to provide an initial inventory of all high-end machinery and internally redeploy as many assets as Novartis required. 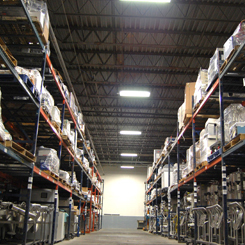 At the end of November 2013, the client tasked EquipNet with the inventory and evaluation of equipment from two locations: a storage warehouse in Hudson, NH and an additional warehouse in Methuen, MA. The goal was to both verify and qualify the inventory list of equipment at the storage warehouse, and search for discrepancies. 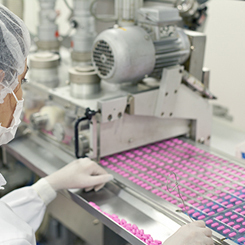 In the final stages of shutting down its Norwood, Massachusetts lab facility, the client managed to address all but one of the critical steps to successfully conducting a facility closure. 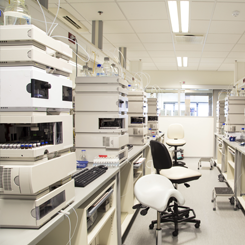 With a one month deadline looming, 150 surplus lab assets needed to be cleared out of the facility. 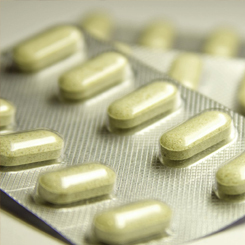 One of the client’s pharmaceutical processing facilities in the Latina region of Italy was in the planning stages of an upcoming project. 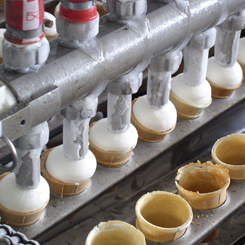 This new endeavor required the acquisition of a thermoformer and a blister packaging line, which if purchased new, would cost more than $500,000 and had an average lead time of 1 month. 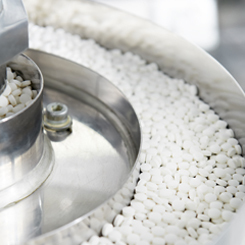 Bayer made the decision to sell a facility that was handling their solid dose manufacturing. Once they stopped production, they needed to find a way to liquidate all of the equipment within this building as well as 3 local warehouses in order to move forward with the sale of the facility. 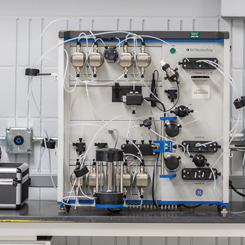 With a looming site closure on the horizon for a facility in New Jersey, this company needed to come up with a way to dispose of its lab equipment (HPLC’s, Mass Specs, NMR’s, GC Systems), as well as nearly everything else under the roof. 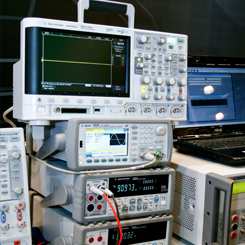 The client presented EquipNet with an aggressive requirement to clear multiple facilities of surplus Electronic Test and Measurement equipment. With only a few months until the mandatory deadline, EquipNet had to act fast. Clariant planned to demolish a facility in Mount Holly, North Carolina. According to initial estimates from demolition contractors, the company would expect to pay $1 million to demolish the plant. Under these plans, Clariant staff would have to spend an enormous amount of time and money managing the project. When the company decided to refresh the technology of its entire field sales organization, EquipNet was called upon to manage the disposition of over 8,000 tablets, peripherals, and accessories. 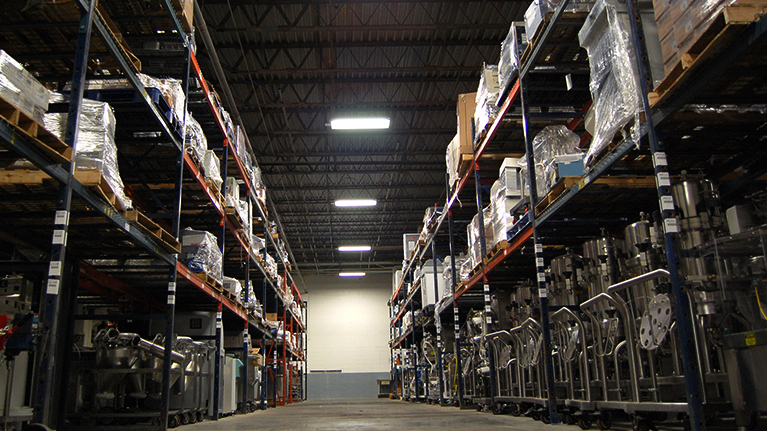 EquipNet provided logistics for inventory pick-ups at the client’s location and analyzed the inventory to determine the best disposition channel for each individual item. The client was ceasing production of an API at a facility in Brazil that was owned by its sister company. EquipNet had to overcome a number of challenges, which included a very strict deadline to clear the client’s assets from the facility. 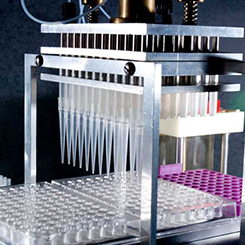 The client reached out to EquipNet for assistance with a full laboratory closure in Cambridge, Massachusetts. With a strict deadline to clear the facility, EquipNet needed to act quickly and efficiently to ensure the ideal result for the client. 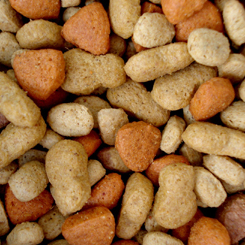 The company’s Belgium site had a dire need for a Bruker NMR in order to continue a pressing project. After going through the financial approval process, our client was left with the option of purchasing a brand new unit from the manufacturer for a quoted price of €573,000 or testing the waters of the used equipment market. Our client had a site that needed to fully close down located in Joplin, MO. The company wanted to have the entire facility cleared out by the end of 2013, so EquipNet only had a 6-month timeframe to achieve total clearance on 180 assets, many of which were heavily installed. 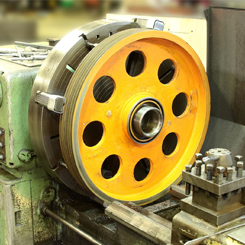 The client contacted EquipNet with an urgent need for an equipment part for a Kikusui press. Its current press broke down during the middle of a production run, and it needed to be replaced ASAP or the company would suffer a significant money loss. The client elected to shut down one of its largest facilities located in Bridgewater, NJ. The 1.2 million square foot facility needed to be cleared out prior to the client’s shut down date. The company engaged EquipNet to assist with the removal and liquidation of the assets. The equipment was primarily lab and research and development. 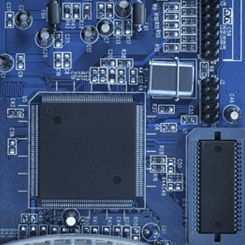 The client reached out to EquipNet for assistance with selling two pieces of idle equipment that were taking up valuable space in the university’s research facilities. 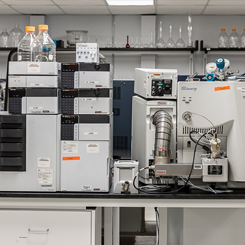 The equipment included a high-end Micromass Q TOF Premiere Mass Spectrometer and a high-end Thermo LQT Orbitrap Mass Spectrometer. In July of 2013, this client enlisted the services of EquipNet to aid in the disposition of approximately 300 assets located within its Carlyle, IL facility. 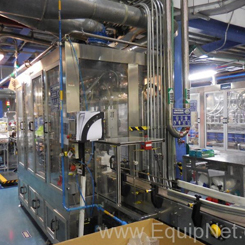 Equipment at this site included various types of packaging machines, injection molders, and more. 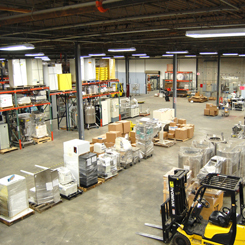 The client had hundreds of miscellaneous MRO items that had been taking up space at its Bethlehem, PA facility. Our client needed these miscellaneous parts removed from the facility to free up space and make room for new equipment as soon as possible. This is an ongoing project that began in 2014. The client had a warehouse full of surplus assets at its Broomfield location and the company was unsure of the fair market value of the equipment. The client also noted that aside from these assets, there was additional surplus still in use at the site. 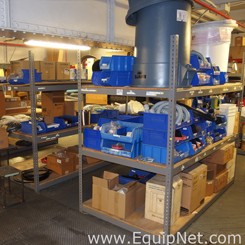 For this project, the site requested EquipNet’s help to inventory and sell all of the equipment located in one of its temporary storage areas within six months. The equipment consisted mostly of MRO/spare parts and six high-value pieces of processing equipment, meaning the majority of profit would lie in only 1% of the available equipment. The project started in 2011 with a simple request for disposition of a small quantity of surplus assets and evolved into a complete site closure ending in October 2014. Overall, the project required the disposal of close to 2,000 assets together with full site clearance based on the client’s specification. This project involved a company moving out of a rented, client-owned building in the Northern California area. 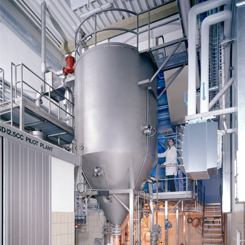 The equipment surplus included a range of R&D and processing machinery. 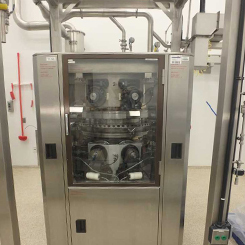 The primary piece of equipment from the facility featured one vial filling line that required multiple trailer trucks to effectively transport it to the buyer. 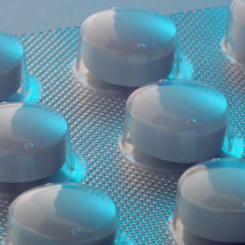 It was decided that our client would need to drastically cut manufacturing costs at its API processing facility located in a small town in County Wicklow, Ireland. 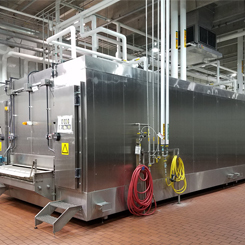 With this large-scale downsizing taking place, the company sought the assistance of EquipNet to help find a final disposition for an unused, high-end Agitated Vacuum Pan Dryer. 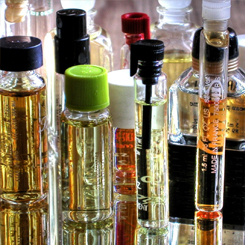 Our client had a facility in Clinton, CT for manufacturing hair sprays, deodorants, and other various personal care products which the company was planning to shut down in multiple phases. The client needed to achieve clearance on all assets at the site in less than a year, leaving a tight deadline with a magnitude of work. 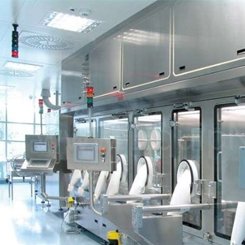 Prior to shutting down its facility in preparation for a closure, the client initially requested for EquipNet to take a complete inventory of all high-end processing, packaging, and laboratory equipment. 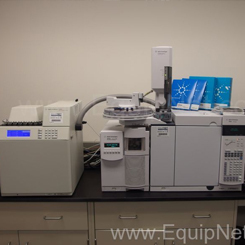 Once the shutdown period was complete, EquipNet took inventory of the lower-value assets including lab instrumentation and warehouse equipment. This project called for the clearing of 10 very large silos from a Bayer facility in Banwol, South Korea. From the start, EquipNet knew that this was going to be a difficult project to succeed with, so originally low expectations were set and the client was notified of this. The client had twenty (20) Auto Syringe Infusion Pumps and six (6) Vital Signs Patient Monitors that it no longer had use for. 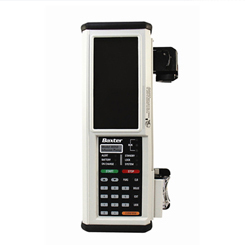 Since the equipment was obsolete the client engaged EquipNet to assist with the liquidation of the equipment. 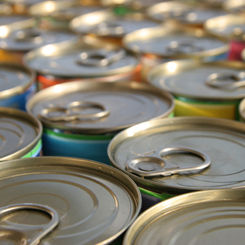 In the summer season, it was decided that this company would need to cut its workforce by 68% due to a steady decline in sales of the company’s top-selling product. Due to the large downsizing the company was undergoing, it was also decided upon that its Menlo Park, CA facility would be shut down. 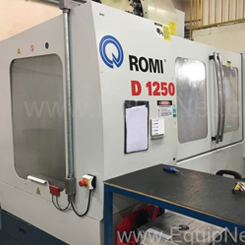 The client enlisted EquipNet’s services to assist in the disposition of approximately 150 assets at its Hammersmith, UK facility that was due to close. Prior to shut down, the facility had been performing human nuclear medicine trials and therefore equipment in the facility included PET scanners, various lab, and maintenance equipment.